Bem-vindo! * to Day #4 of Chocolate and Brazil Theme Weeks. 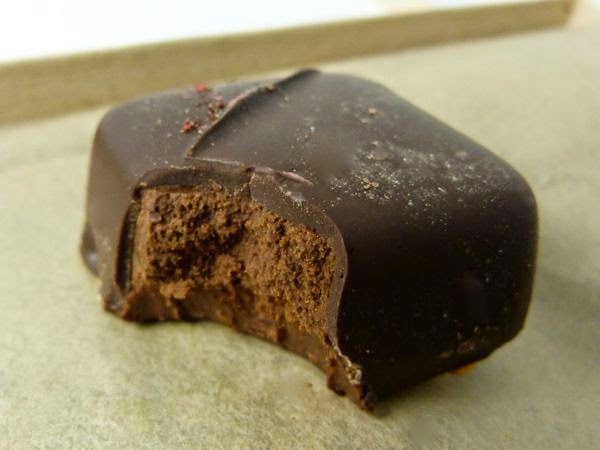 Today's Brown Butter and Pink Pepper was created by Juliana Bounds at Cabruca Chocolates (Winchester, OR). 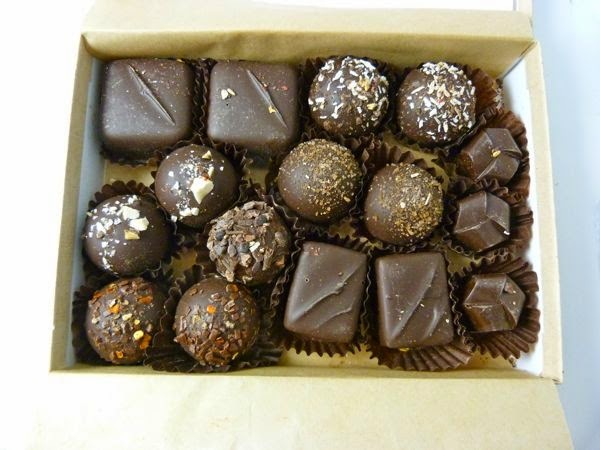 Juliana grew up in Brazil, and incorporates Brazil-inspired flavors into her line of Brigadeiro and Caramel Ganache truffles, as well as several traditional filled chocolates. 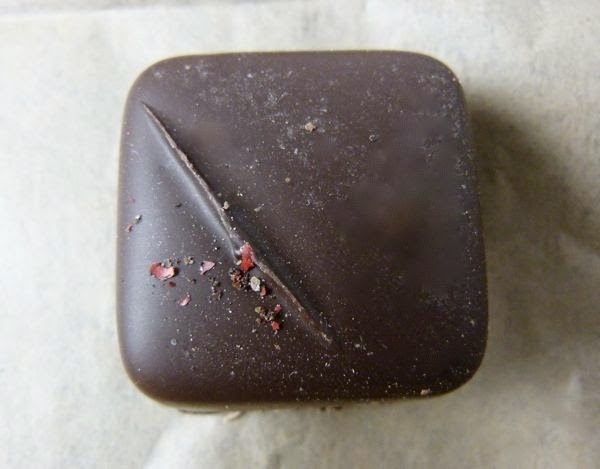 This generously-sized chocolate covered square was filled with dark chocolate and caramel ganache (made with brown butter), and sprinkled with tiny flecks of pink peppercorn (baies roses de Bourbon, aka Brazilian pepper, from Brazil). Creamy chocolate caramel and brown butter textures and flavors dominated this confection. *Bem-vindo means welcome in Portugese.